Spring has arrived and in South Central Texas, you know what that means: Summer will soon be here—in all its radiant, blacktop-cooking, sweat-staining, heat-hazy splendor. Sure, it doesn’t officially arrive until June 21—summer solstice—but if 2019 is like most other years here, we’ll start feeling the heat well before. Is your AC/heating system ready? You might not think much about your AC/heating system. It probably seems pretty simple and straight forward: A few button presses turn on the heat in autumn and allow you to stay comfortable as temperatures fluctuate into late fall and turn cold in winter. Then summer comes and a few more button presses switch you over to AC. You continue adjusting as the really hot weather moves in. We’re here to remind you, though, that your system is far more complicated than those quick switches and adjustments might lead you to believe. Like any sophisticated piece of equipment, your HVAC system needs regular servicing, and any switch between heat and AC is an especially important time for routine AC/heating maintenance. In the long run, preventive maintenance can save you substantial money. How? It helps not only extend equipment life, but also extends and increases overall efficiency and comfort. In other words, with proper preventive maintenance, your system won’t just last longer, but will also dependably operate as designed for much longer with far fewer breakdowns. We created our twice yearly Comfort Check plan to deliver a convenient, cost-effective way to help our members and customers establish a fixed schedule of routine AC/heating maintenance. We understand, however, that not everyone can invest in long-term, routine upkeep. Our solution? GVEC’s one-time Check-N-Save maintenance inspection and performance tune-up. We designed Check-N-Save to help members uncover AC/heating trouble spots before they turn into costly problems. This comprehensive, one-time system inspection and tune-up is a fast, easy way to ensure your home stays comfortable as winter turns to spring and summer. 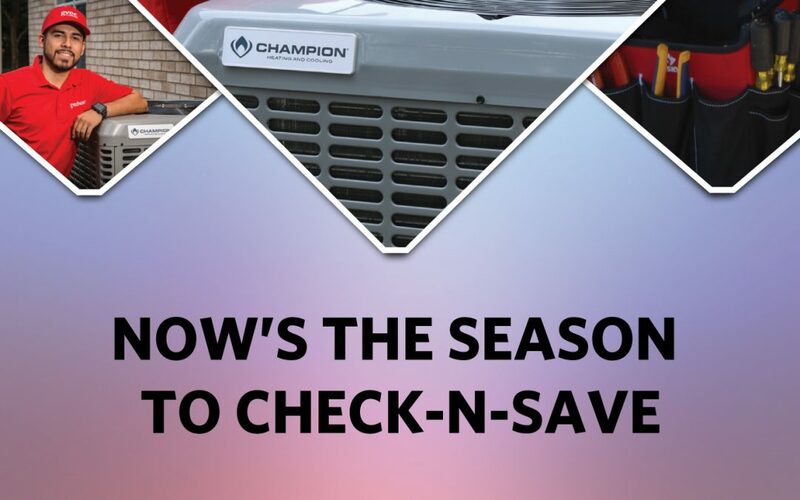 Check-N-Save provides the peace of mind that comes with knowing your system has been properly serviced for the change of season and will be far less likely to break down during the summer heat. You’ll never worry over long-term commitments with Check-N-Save, either: You pay once for a single inspection and tune-up and you’re ready for the season ahead. To schedule your next Check-N-Save and learn more about seasonal maintenance, call 866.684.2359. Or visit gvecACservice.com to see our current AC/heating specials.